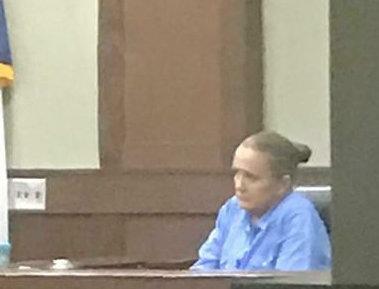 52 year old Melissa Ann Miller on the witness stand during the punishment phase of her trial after having been found guilty of murder and intoxication assault. Jury Finds Miller Guilty of Murder and Intoxication Assault, 55 Years Handed Down, LIVINGSTON, September 27, 2018 - On Thursday afternoon (09/27/18) a Polk County Jury found 52 year old Melissa Ann Miller guilty of murder and intoxication assault. Afterwards, during punishment phase, District Judge Kaycee Jones handed down ten years for intoxication assault and fifty five years for first degree murder. Under Texas Law, a person can be found guilty of murder if they're knowingly carrying out a felony act (in Miller's case, driving while intoxicated 3rd or more). 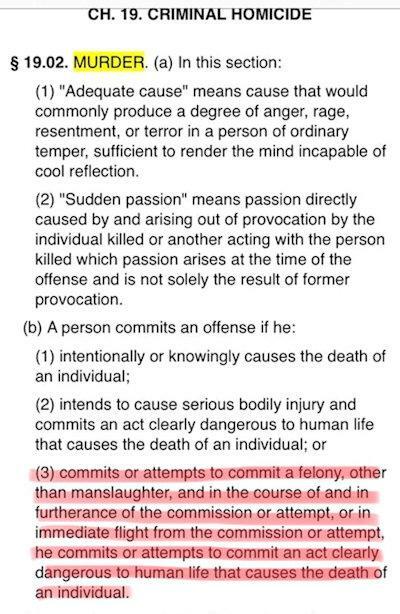 While carrying out the act of a felony, if it's clearly dangerous to others (in this case putting lives at risk while driving while intoxicated), and it causes the death of another human, then murder has been committed. During punishment phase, Prosecutors, Beverly Armstrong and Nicole Washington summoned Onalaska Police Officers, Captain Lee Parrish and later Onalaska Police Chief, John Maddox. Captain Parrish recounted his arrest of Miller in 2009 in Onalaska when she smelled of alcohol and was unable to perform the tasks of a field sobriety test. Chief Maddox recounted the arrest of Miller in 2011. Again, Miller couldn't perform the tasks of a field sobriety test, and she was found to be in possession of narcotics. Polk County Probation Supervisor, Elizabeth Cooksey, testified from the witness stand that she tried to get Miller to seek help for drug addiction, According to Cooksey, Miller refused to seek treatment and insisted that she didn't have a problem. In an emotional moment, Kenzie Bradberry (Daughter of James and Elizabeth Bradberry) testified from the witness stand about her relationship with her late father. "He was my best friend in the world", "...he helped me in softball a lot". She then recounted the night of the accident and how when she arrived at Conroe Regional Hospital that she was informed that her father had passed away and her mother had lost a leg. She further described the physical hardships of her mother's injury (loss of leg) and having to care for her and the mental anguish that her mother and family went through. As her face showed much emotion, she kept her composure and lastly described how her little brother (13 at the time of the wreck) struggles at night with the loss of his father. Defense Attorney, Seth Evans, put Miller on the witness stand. Miller alluded to a car wreck that she was in years earlier and was prescribed pills for a back injury (apparently insinuating that that's where her addiction started). Miller was clearly racked with guilt. She cried and looked across the courtroom with tears in her eyes apologized profusely to Melissa Bradberry. In final statements to Judge Jones, Evans stated that Miller wasn't a malicious person, and she hasn't driven a car since that night. He pointed out that Miller has been struggling with addiction for over twenty years. Prosecutor Armstrong stated that Miller's committment to do better now is too little too late. Armstrong stated that she's cost a life and wrecked two families and has taken drugs as recent as yesterday. Judge Jones handed down ten years for Intoxication Assault and fifty five years for first degree murder. Miller may appeal.